Take the chance and be guided by a professional fishing guide with many years of experience. I offer you professional guiding and instructions. I guide you in fly fishing, jerkbait, spinning and trolling. I can teach you the basics too much more advantage fly-fishing. You can learn how to make your own flyes and how to use them, where the fish is standing, when the best chance to catch the biggest ones, how to drill and how to handle a fish you want to return again. Here you really have the chance to take advantage of the guiding time and learn as much as possible and have a really nice time by the river, the lake ore by the sea. Ask for price if you are a bigger group. 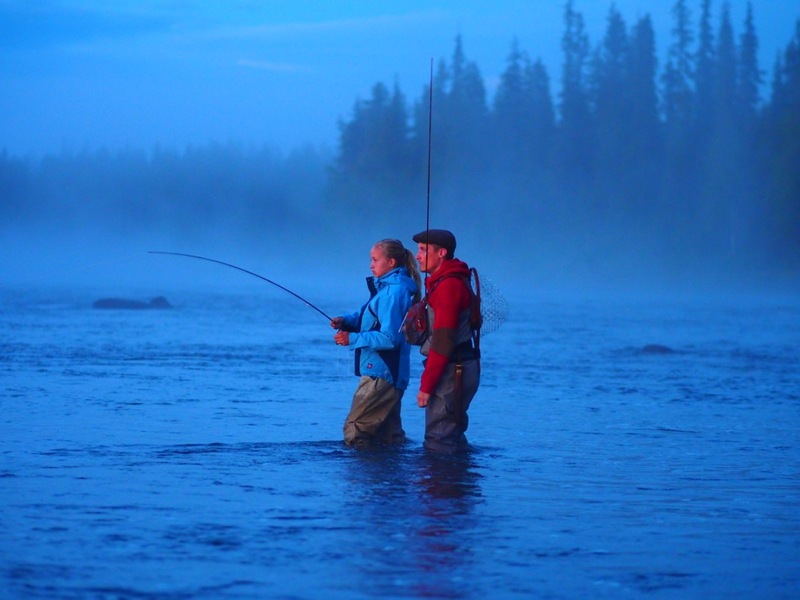 "Jesper Larsson have worked as a Professional Fishingguide and Instructor since 2001"